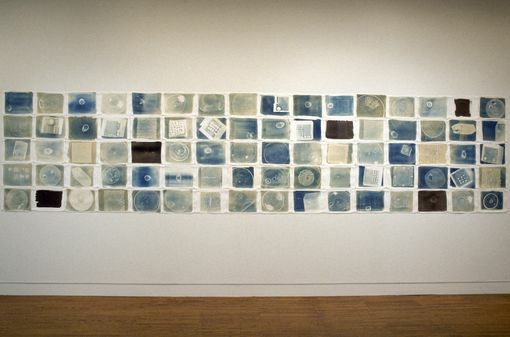 This is a series of cyanotype photographic prints, a low tech method of photography. By treating the paper with light sensitive emulsion and using handmade glass objects as tools for image making, I create direct illustrations of light. 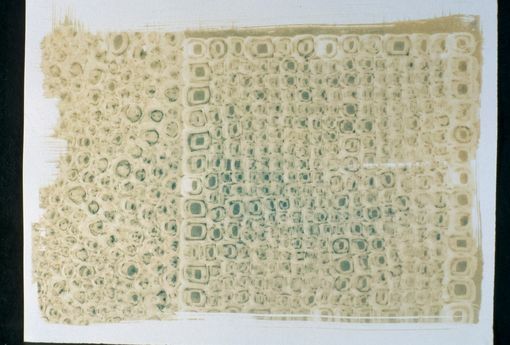 The light refracts through the glass material and creates unique images that transform beyond the original objects and resemble scientific imagery. Each print in on artist paper, 11"h x 15" w, unframed.